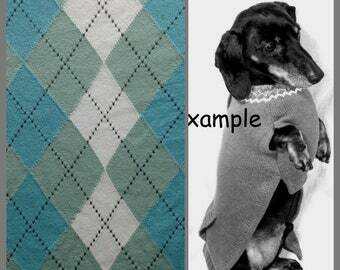 Announcement Custom dachshund sweaters sewn from knit fabrics to fit our doxies' unique bodies. 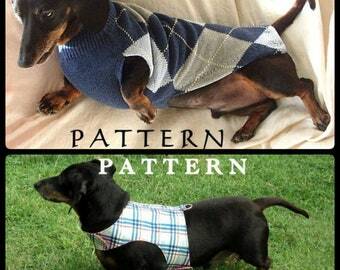 A wiener dog wardrobe shop. 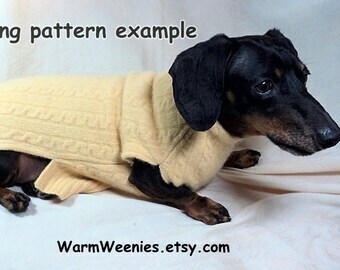 Small dog jumpers, coats, sweaters, pullovers. 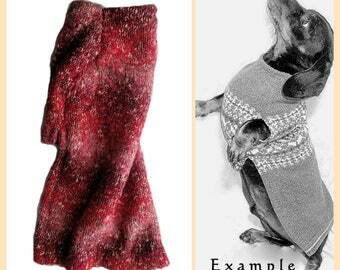 Custom dachshund sweaters sewn from knit fabrics to fit our doxies' unique bodies. 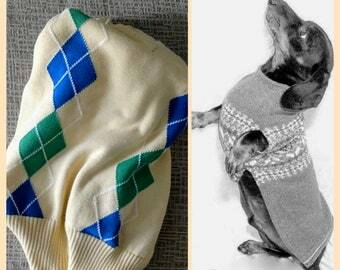 A wiener dog wardrobe shop. 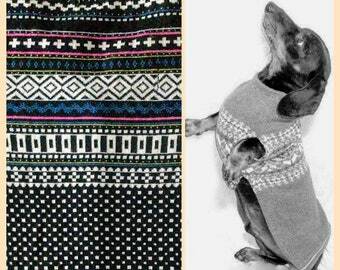 Small dog jumpers, coats, sweaters, pullovers. The pajamas arrived very quickly. The colors are much more vibrant than I thought they would be and look wonderful on Ozzy.The material is a perfect weight for him to wear in the extra cool air conditioning in my house. Thanks so much for another fine job. Two of my past rescues. Sandy & Barney with me in a meadow. I was fortunate to be adopted by a dachshund. We live in Michigan and he was cold. Well, I had to do something about that. 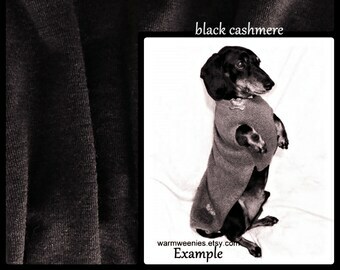 I designed a sweater that actually fit and stayed on him. I'm excited to share that happy circumstance with you. 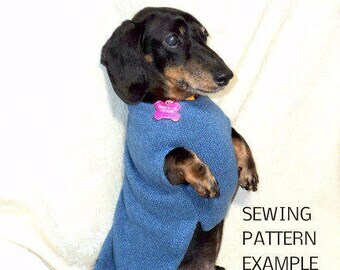 I design and sew everything that you see in my shop. I have enjoyed sewing for more than 50 years. I also pursue several other fiber arts. I especially love fine embroidery, antique charts & patterns and knitting. I am partial to all wools and other natural fibers from the Earth. Living, sewing and knitting in Michigan, USA. 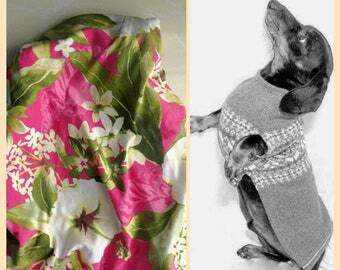 Yes, you can wash and dry WarmWeenies small dog clothes. 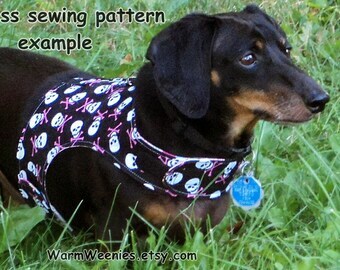 I machine wash and dry all fabrics for the sweaters and harnesses before I even cut them out. 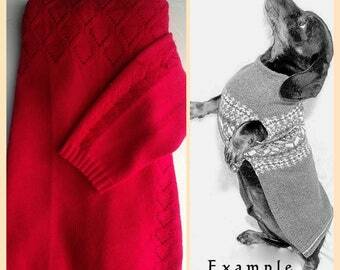 Sweaters Jumpers should be turned inside out and washed using cool water and medium dryer settings. If it's a lacy or delicate fabric use a lingerie bag. If it's wool take from dryer damp, stretch to shape and air dry. 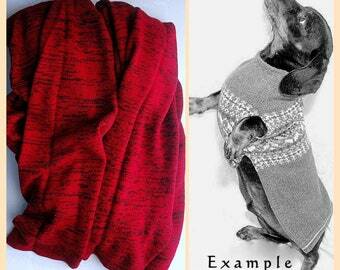 Wool can be used on the dog damp as wool is warm even when wet. This also sets the shape of the wool sweater to fit perfectly. Cotton or other fibers should be dried completely before use. Harnesses are 100% cotton so go ahead and wash them without fear. You should attach all hook and loops together before washing. Never use bleach on a WarmWeenies product. MEASURING: Idealy use a cloth or plastic sewing measuring tape. Or you can use a piece of string and then measure the string being careful not to stretch the string. HEAD around just in front of the ears. NECK around where a collar would sit. CHEST around widest area behind front legs. TUMMY around narrowest area in front of hind legs. BACK length from base of neck to base of tail. If the dog is wiggly or objects to this kind of handling use a piece of string and then measure the string. 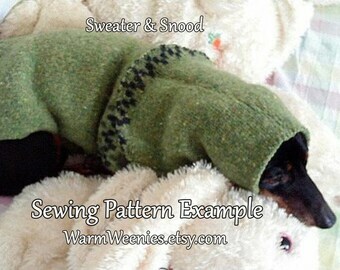 All WarmWeenies sweaters and snoods are customized for each client. If an item is listed as ready-made I may do alterations, if needed, so I still require measurements. I put certain and different available inches in the Variations lists for a reason. 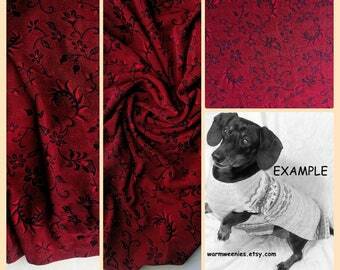 Not all fabrics are suitable for all sizes because of thickness or amount available. 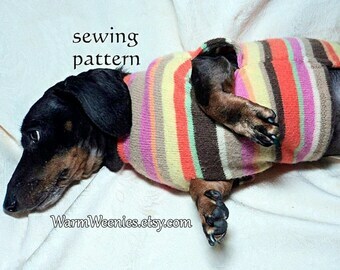 WarmWeenies DIY sewing patterns are not designed for tiny/teacup or mid/large dogs. Can be done on my products only. Postage both ways within the USA to be paid by customer unless I am at fault. If outside the US, let's talk. First time alterations are free. Only I can decide if an alteration is practical and/or do-able. GIFT WRAPPING: I am not set up to offer gift wrapping, but I suppose anything is possible. Convo me if this is important to you. At your request I can send your package to anywhere in the country it was purchased from. Example: if purchased in the US I will mail it anywhere within the US only. PACKAGING: I use large padded envelopes. I use tissue paper to wrap the item in before packaging. I also include a tiny organza bag with a teaspoon of organic French lavender buds in each package where allowed and within the USA only. Please let me know if you are sensitive to such things and I will leave that out.